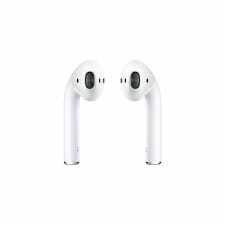 Apple wireless headphone received widespread criticism upon its release late last year due to its design. This year it turned out to be one of the top selling wearables recording massive sales around the globe, especially in the US. It accounts for 85% of wireless headphone sale in the US only despite the early cynicism it faced. The fact is that the earbud had a funny look to it when it was released last year, but that didn’t stop people from buying. 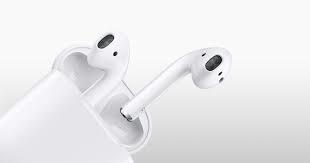 Apple stated that there had been high demand of the earbuds since its release last year. However, the ease and the portability of the earbuds rather than its design is the reason most people use it. They are easy to put on and take off, easy to recharge by just placing them in their casing, and easy to carry about. Apple has gone ahead to obtain four design patent rights for it wireless headphones which mean some significant changes should be expected in the AirPods 2.0. One of the patents filed by Apple was for a biometric sensor which would allow the AirPods have fitness tracking capabilities or perhaps a galvanic skin response feature might be included. Unlike last year, the rumoured AirPodss 2.0 will have the likes of Bragi Dash Pro, Jabra Elite Wireless, Sony WF-1000X, Samsung gear IconX and Doppler Here One, all competing in the market. Although the AirPods released, last year had a touch responsive feature which allows you to activate Siri to control your music experience directly. Siri allows you to change the music, increase the volume, music playback and play music from Apple Music amongst other things. 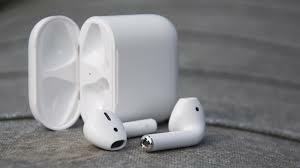 It is likely that Apple will be introducing some changes into the next AirPods which is coming out this year. Some buttons might be added for on board control of the device. The presence of buttons for direct control of music would be a nice addition so as to avoid reaching into the pocket to get your phone before you can make some changes. A longer battery life is one of the changes expected to come with the new AirPods to be released. An extension of a few more hours to the five hours battery of the current AirPods will be a significant improvement. Also, It would be nice if the AirPods could work with Android devices. Although that is still far fetched, given that the Apple brand is well known to design its product to only work with its own devices. A change from the white colour which the old AirPods comes in will be nice. So matching colours of iPhones, iPads and watches will be a possible combination for all iPhone users. So far so good, the Apple AirPods have a come a long way from a joke to one of the hottest product in the wearable market.